When it comes to keeping your home or business healthy and well-maintained, regular carpet cleaning is essential. 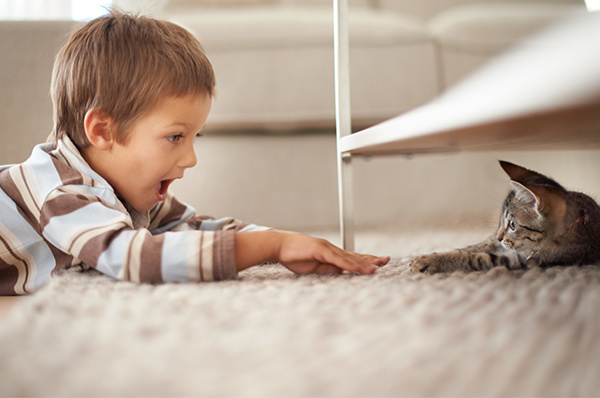 Over time, dirt, pollen, dander, dust mites, and countless other contaminants become trapped in your carpets. This causes the appearance of your carpet to decline, and you may notice unpleasant odors and soiling. These contaminants can also result in premature wear to your carpet, slowly wearing away at the carpet fibers. Only professional carpet cleaning can effectively remove these contaminants and deliver truly clean results. We know that it can be difficult to find a carpet cleaner you can trust to do what they say they will do. At Daystar Cleaning and Restoration, we understand your frustration and have set out to be a different type of carpet cleaner – one that you’ll love! No pushy sales games ever! Exact price quote before the work is started. You’ll never be charged extra for normal spot removal, preconditioning, or deep cleaning that other companies charge extra for. Our technicians are fully trained and IICRC certified. We take extra care with Oriental Rugs. Need more information? Check out our Consumer Information Guides below. Informative guide: Carpet Protection – It Really Works! For occasional mishaps, check out our Spot Removal Guide. For your convenience, we provide a Carpet Cleaning Checklist for tips on making your cleaning experience go as smoothly as possible. We utilize hot-water, truck-mounted steam-extraction cleaning for your carpets. This is the preferred method of carpet manufacturers and will not void your carpet warranty. Hot water extraction cleaning is the most effective carpet cleaning method and it is safe for most carpet types. Hot water extraction works by delivering a hot water cleaning solution under high pressure to break up the dirt, bacteria, and pollen trapped in your carpets. High-powered extraction is then used to remove the dirty water and most of the moisture from your carpets, speeding up the drying process. Before choosing a carpet cleaner to come into your home, consider each of the following to ensure you are getting the best carpet cleaning service at the best value. Although price is often the most important factor, when it comes to carpet cleaning you pretty much get what you pay for. Beware of companies that use bait and switch tactics to trick you into paying for sub-standard services. Consider the value of the service you are receiving, and ask questions about training, experience, methods, and certifications. Daystar technicians are IICRC certified, meaning they meet the industry standards and have the training and experience to effectively clean your carpets. They are trained in the proper application of cleaning solutions, using the right product for each type of problem area.